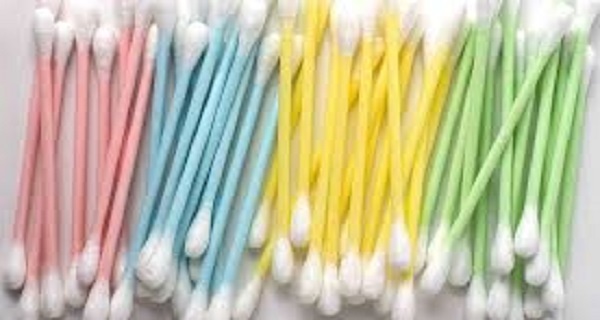 Most of people clean their ears using cotton swabs. However, experts recommend avoiding cotton swabs because they can possibly cause problems such as punctured eardrums and gravely impacted earwax. Your ears have their own natural cleaning process, which does not include putting foreign objects into it. Swabbing out your ears can be potentially dangerous. Your ears contain natural antibacterial protective healthy feature called cerumen, or earwax. It creates near the ear drum and slowly goes out. Some people, however, accumulate earwax much speedier than others and if they don`t clean it the buildup can lead to reduced hearing. Sometimes it can even cause pain. Therefore, people turn to cotton swabs in order to remove the excess wax. Unfortunately, swabbing your ears does more harm than good. By cleaning your ears with cotton swabs, you push the earwax deeper into the ear which can get stuck and bock up the ear drum. In this case there is a risk to rupture your eardrum and puncture it. Also, it pushes fungus and bacteria from the outer ear into the inner ear which can lead to infections and other medical complications. The part which you should actually clean is the outer ear. You can do this by using a washcloths, water, and soap. So, you shouldn`t clean your ear canal because when you take a shower or wash your hair, water enters the ear canal which in a way helps loosen the wax in the ear. Moreover, the skin of your ear canal grows outwardly in a spiral pattern and as the skin grows, the earwax slowly goes out, becoming dry and eventually falling out. If you notice too much wax in your ears, or your ears become abnormally dirty, it is time to visit your doctor. Your doctor will clean your ears with water-peroxide solution which will be injected in your ear. Also, doctors may recommend DIY cleaning at home. Use a solution which consists of tap water, rubbing alcohol, and white vinegar all in equal parts.